Be 100% sure! Hire Home Inspection Star! It is better to be safe and sure when buying or selling a home or any commercial place. 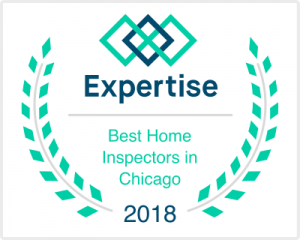 Trust the best home inspection company in Chicago. 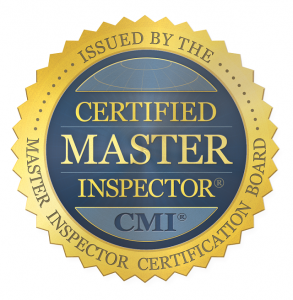 Home Inspection Star’s professional and certified home inspectors for your next home, condo, or building. It is an important decision to buy or sell a property and you should have complete peace of mind in what you are dealing to avoid future aggravation. To ensure this, hire ‘Home Inspection Star’ to inspect any residential and commercial property in Illinois. All inspections are performed by a licensed and certified inspectors. Mold or Radon tests can be scheduled at the time of the home inspection. With the highest expertise, we will give you the pace of mind you need as a new home owner. Home Inspection Star Inc. performs Residential and Commercial Inspections Chicago-wide and we are one of Chicago’s leading property inspection services companies. We understand the stress and time constraints of buying property and making the right choice. We email the home inspection reports within 24 hours and are available to discuss your property concerns. Our reports are thorough, unbiased and easy to understand. For a better understanding and to see what is covered in a home inspection, please see our “report sample”. We are an ethical company and serve our customers as we would like to be served. Our professional and helpful team can help with your property concerns today. Why choose the best home inspection company? The inspector is not required to walk on the roof and you may ask why? If the roof is highly piched, wet or snow covered, the inspector could feel unsafe and may not walk on. Some roof coverings cannot be walked on because they can be damaged. An inspector generally examines the roof from ground level with binoculars or looks out higher windows to get a view of roofing below. Inspectors will note torn or missing shingles and nail pops that may or may not indicate a full-fledged problem. To guarantee that you are buying a house with a durable roof, the inspector may suggest hiring a licensed roofing contractor to provide a full evaluation. We walk on most roofing systems if they are safe and accessible. We do not mind to get dirty and inspect all accessible attic and crawl spaces. A number of structural issues are discovered in the attic and crawl spaces. Damaged (cracked or loose) roof rafters, floor joists and leaking foundations are revealed when these spaces are inspected. Evidence of roof leakage can be visible in the attic area (on the boards) and may go undetected from the top of the roof. The existence of unsafe electrical wiring or bathroom exhaust fans terminating in the attic should be reported. The condition of insulation or inadequate ventilation can be discovered inspecting these spaces. We detected major structural issues and saved thousands of dollars to our clients. The electrical system is an important component of the home and feeds the mechanical systems. A home inspector is required to conduct a thorough visual examination of the visible aspects of electrical system and is not required to report on any code issues. The electrical inspection includes the main service panel, service lines, power outlets, and the existence of GFCI and AFCI breakers,light fixtures circuit wiring and grounding. A home inspector can only be responsible for the components that are visible. Most of the home’s plumbing system is covered by the walls. What is visible could show the home’s plumbing health. Galvanized steel pipes are an indication of outdated piping materials. Its corrosive qualities will cause it to fail before other materials. The copper piping is the best choice, but there are many other rigid and semi-rigid synthetic materials that are long-lasting and affordable. Real-estate contracts are structured so that major systems, such as electrical and plumbing, are reviewed and obligate the seller to fix most deficiencies to complete the sale. But other imperfections that fall outside of the contract’s purview may go unrepaired. For example, the inspector noted damaged siding or old windows that the seller is not required to fix but that could develop into a much bigger problem later.